When Cecil Gibbs’s mind shatters during the American Civil War, he becomes a battlefield horror. The man slips through the shadows, carving the wounded like art as the war’s first serial killer. However, once word of Cecil’s atrocities hits the ears of Union command, they send in a Pinkerton by the name of Oliver Lamb to investigate. Through his perilous tracking of Cecil, Oliver learns that Cecil might not be alone. Witnesses have glimpsed a shadowy figure dancing along Cecil’s side, whispering instructions to the broken surgeon as he continues his onslaught. “It Dances Now” is a short horror story contracted by Crimson Street Magazine. It hit shelves in late summer of 2019. Umm…this is awesome. 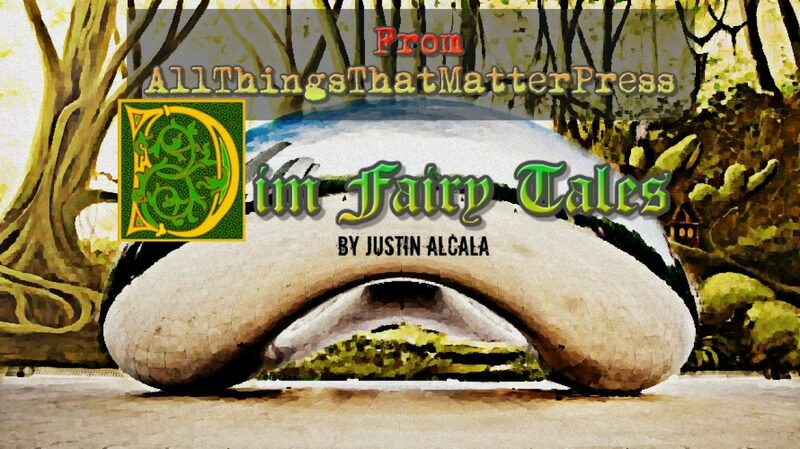 AllThingsThatMatterPress has officially contracted Dim Fairy Tales for publication. This will be my third novel, and second within the Plenty Dreadful Universe. I’m very proud to partner with AllThingsThatMatterPress, who has brought the world great books for over ten years. More to come! People argue that we don’t change, but let’s face it, we do. We change in the small ways- what we choose to eat, our fashion sense, what we read. We change in the big ways- our approach to resolving problems, faith and how we perceive the world. It’s a never ending cycle. And, while our loud and stubborn habits tend to steal the spotlight, there are dozens of small and wonderful changes that happen to us daily. The same can be said for writing. Countless authors’ styles, subjects and inspirations have leapt around like jackrabbits. Iain (M.) Banks moved from mainstream fiction to science fiction and back again. Ian Fleming transitioned from spy novels to classic children’s picture books. Some authors’ changes have even revolutionized literature. 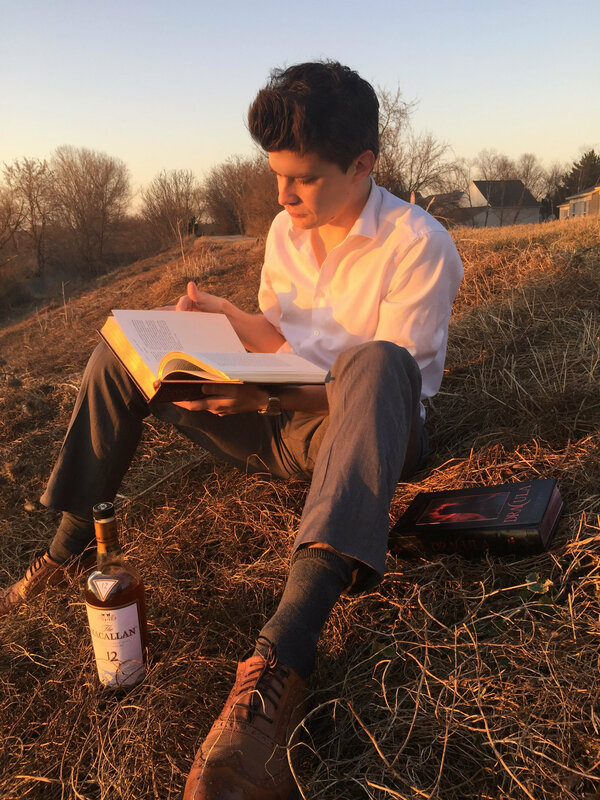 Hemingway modernized today’s approach to book description by emphasizing direct, unadorned prose while William Faulkner shook the Earth by transitioning classic suggestive introspection into a stream-of-consciousness approach that we see today. There’s nothing wrong with changing your approach to writing. Novice writers tend to lean on lengthy descriptions, repeating adjectives and a heavy dose of those wicked adverbs. They confuse grammar and sentence structure, and are addicted to the all enticing commas when they don’t belong. It’s a rite of passage that takes numerous wags of the finger from a proofreader or editor to understand. One that when amended, can draw new insight on what your writing potential is. But it’s not just genres, grammar and inspiration that we can change when writing. It’s our perspective as well. When I was young I called myself an aspiring writer. When I was published, I became an author. Now, after ten years of experience, I see myself as a story enthusiast. Our outlook and relationship with the writing world is what makes us who we are. George Bernard Shaw once said, “Progress is impossible without change, and those who cannot change their minds cannot change anything.” This year, keep in mind that whether it seems like it or not, you are constantly in a state of change. You’ve worked very hard to get where you are, be it that first published poem, completed manuscript or contracted novel. You’re doing yourself a disservice by not keeping your author-mind open and your literary-heart honest. After all, it should be your writing aspirations that reflect your choices, not your fears. Here it comes again, my favorite time of year. There’s a special place in my heart when the moon grows ominous, and the trees go naked. They’re signs of Autumn, and more importantly, they’re harbingers of Halloween. As for little old Justin Alcala, it means research for some of my darker projects. This year I’m cataloging some lesser known European and American folklore and tales. And how selfish it would be of me to not share them with you. So, until the children scream for Halloween, I’ll be sharing some of my favorite monsters and specters with you in order to lure you into the mood. Not every monster starts off as such. The Witch of Newark is a legend past down from generation to generation in both the New Jersey and New England area. As the tale goes, she was once just an ordinary Newark settler girl who’d come from Europe with her family. As time passed and the girl grew older, she turned away from God and began to deal in dark magic within the wilds. She then joined a witch’s cult where she fornicated with the devil. Though this gave her special powers, it also cursed her flesh. Her features contorted into a demon’s, and her skin became withered and old. It’s said that she uses powerful magics to disguise herself, though if you look at her from behind, you can make out her horrific form. She now wanders the forests of New Jersey and New England looking for victims. She tempts them with food, money and sexual favors. Those who fall for her ruse have their souls violently ripped from their bodies in order to sustain the Witch of Newark’s unnaturally long life. But just because it’s a legend, doesn’t mean it doesn’t have any merit. Though the Witch of Newark’s folktale may be embellished, occultists and witch hunters have claimed to have evidence of the creature. Huts with dead animals and missing children are found every several years, and it’s said that these are the dwellings of the dark mistress. More over, the occasional survivor of her sin-offerings occasionally comes forth to confirm stories of a young woman who offered them silks and honey, only to transform into a deformed hag that tries to eat them. And although much of it can be construed as fear mongering for curious children who wish to play in the forest, it hasn’t stopped several witch hunters from looking into clues. Come to Bucket O Blood Bookstore to get your signed copy of “The Devil in the Wide City” from 5-7pm. I’ll be the guy at the table telling corny jokes. “The Devil in the Wide City” is now available in both ebook and paperback. Get your copy today. When Ned, a fallen angel who’s as suave as he is brainy, accidentally starts the Great Chicago Fire during an assignment, he all but gives up on ever visiting Earth again- that is until his replacement goes missing, and Ned gets a chance at redemption. Below is a bona fide link to the Zharmae Publishing Press Giveaway, “The Devil in the Wide City.” Supplies are limited, so click now. You’ll be the envy of WordPress if you’re the lucky ebook winner, Act now, and as an added bonus, I’ll also pray for your immediate career success in a remote Shaolin Temple that I’m currently training at. And remember, “The Devil in the Wide City” officially hits shelves May 26th, 2016. Author of “Consumed” and “The Plenty Dreadful” Series. 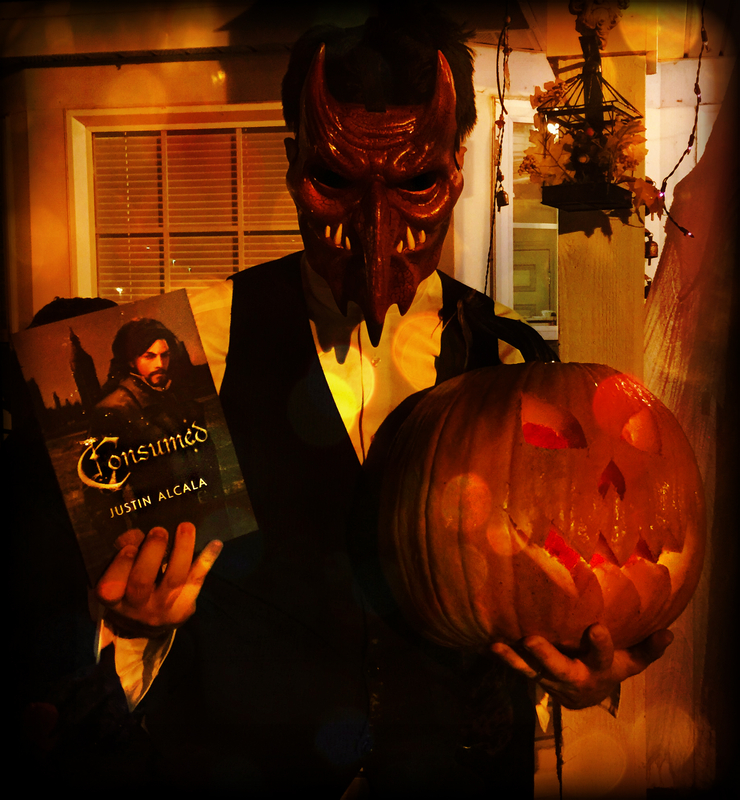 I want to wish fans of “Consumed” and “The Devil in the Wide City” a Happy Halloween! Thanks for joining my blog and take it easy on the blood tonight. First vampires, now this: Justin Alcala joins us to look at why we love zombies. Could it get any better? Welcome to Part 2 of my Halloween blog, where we’ve been dissecting everyone’s favorite ghouls and ghosts. In Part 1, we talked about vampires and their relationship with our history. In Part 2, we’re unearthing a different eerie nemesis—one that just refuses to go away. Yes, it’s time to dig up old skeletons and investigate Why Zombies Will Never Stop Coming. When I was a boy, my mom introduced me to George Romero’s Night of the Living Dead, and my world changed. The entire movie, from Johnny’s “They’re coming to get you, Barbara” speech to the undead’s attack on the quiet little farmhouse, terrified the hell out of me. To this day I have no idea why my mom showed me that movie at such a young age (although it’s probably why I am the horror nerd I am today). Regardless, from that night, and many years after, I’d suffer through the same reoccurring nightmare. Shambling zombies were at my door, ready to eat me alive if I didn’t escape. Little did I know that my zombie problem wouldn’t go away anytime soon. Yes, it seems that every few years, an entire slew of zombie movies and books spread through the media, giving life to the dead once more. So, why do zombies keep clawing their way out from the grave? Just when you think the horror fad has come and gone, a new wave of novels, television series and movies surface. In their very short time, zombies have gone from dormant sub-genre to commercial monstrosity. But why? Does society secretly like blood and guts or is it just that we feel as if we’re on the edge of the apocalypse already? Well, I think it’s time that we bite into the matter. First, let’s look the current affairs of the day. It’s no secret that conflicts in the Middle East, Ebola in Africa, and other global catastrophes have stirred up people’s anxieties. With record-breaking travel nowadays, it’s easy to imagine these issues landing at your doorstep. Zombies embody our contemporary concerns. Globally, millions of people are fearful that one day they’ll wake up to an incurable epidemic in their neighborhood or an unwinnable war on the streets. What better analogy than a zombie infestation to help construe our angst? Zombies spread their contagion quickly and are unbeatable in great numbers. They’re the perfect metaphor. Another reason why we love to fantasize about the undead is because of what they mean to us subliminally. Ever feel like you’re overwhelmed with problems at work? Do you constantly feel like you’re fighting a battle that you just can’t win at home? Well my friend, sounds like you’re describing a great zombie plot. Zombies are the ultimate depiction of our ordinary struggles. They’re vicious, unrelenting, and put us on edge at every turn. Yet another reason why zombies have surged in popularity comes from increased coverage of vague present-day issues. Problems such as global warming and financial meltdowns can sometimes be hard to imagine. Zombies are a perfect way to put these matters into perspective. It’s hard to decapitate melting ice. Shooting a recession in the head isn’t easy. But an ominous undead infestation, now that’s something conceivable. Finally, while it may be hard to believe, death itself is a perfect reason why zombies have become so popular. It’s unavoidable. We see death every day on the television, hear it on the radio, and read about it online. We sit back and wonder, “When do I go?” Sometimes it comes in the form of a distant relative, other times it’s someone very close, but death is always lurking. The zombie is the embodiment of this. It’s not prejudiced or picky. It will destroy whatever is in front of it, brutally and without mercy. And those are the facts. Zombies will never stop coming. Why? Because they’re metaphors for global tension. They depict daily life. They help us understand subliminal issues and they’re a constant reminder that none of us are getting out of this alive. We love zombies because they help us make sense of our own existence. In essence, we are zombies. Now…who wants brains? The Monstrous Age, the Gothic Era, The Heroic Period- vampires have had many different roles in culture throughout the ages. They’ve been what scares us, what draws us and what aspires us to be. We fear their power, desire their immortality, and relate with their struggles. Yet, for as many hats as they’ve worn, one thing is for certain. The vampire is here to stay. Throughout history, monsters have served as a coping mechanism for what terrifies people most. Vampires are no different. For the last millennium, these bloodsuckers have helped justify evil, disease and death. From the Chinese Jiangshi to the Hungarian Izcacus, no matter the culture, records indicate that people have always had a turbulent, but vital relationship with the vampire. But that would all change once pop culture embraced the vampire. 1897- Bram Stoker publishes his novel Dracula, in which an undead Count clashes with a young group of English protagonists. The intriguing story, told through diary entries, ship logs and other epistolary means, is an overnight success. Dracula’s popularity changes the creature. No longer does the vampire simply represent sin and death. Vampires are now linked with contemporary issues, which in the 1890’s included foreign distrust, mental health and sexual repression. While the vampire was still villainous by nature, the seed of transformation had been planted. Nearly one hundred years later, writers and movie producers use the vampire for different reasons. Mainstream tensions linked to sexual inclination, racial discrimination and harsh corporate enterprise rear their ugly heads. This once again changes the vampire. While still deadly by nature, the vampire develops new symbolic traits related to pressing themes. The creature is now the epitome of seduction, manipulation and exploitation. The origin story also becomes a backbone, giving the creature a tragically unfortunate motive to kill. Audiences begin to sympathize with the monster, abetting in the creation of what we know today. It’s 2015. Cue the glitter and acoustic guitar. Although the Internet becomes a major social outlet, it also has a way of isolating people worldwide. In addition, recovering economies force millions of college graduates and jobless workers to look elsewhere for employment. Depression in America, Canada and England are on the rise. What this world needs is a hero. Once again, the vampire transforms, changing from gruesome predator to misunderstood do-gooder. Story plots gravitate around a kindhearted mortal transformed by the damned, only to later defy their makers in order to protect the living from the dead. But why is it that vampires won’t go away? Hundreds of other monsters similar in age and origin like barghests, banshees and genies, had similar early success in cultures. They were outlets in order to explain what people didn’t understand. As the years past however, these monsters slowly faded. 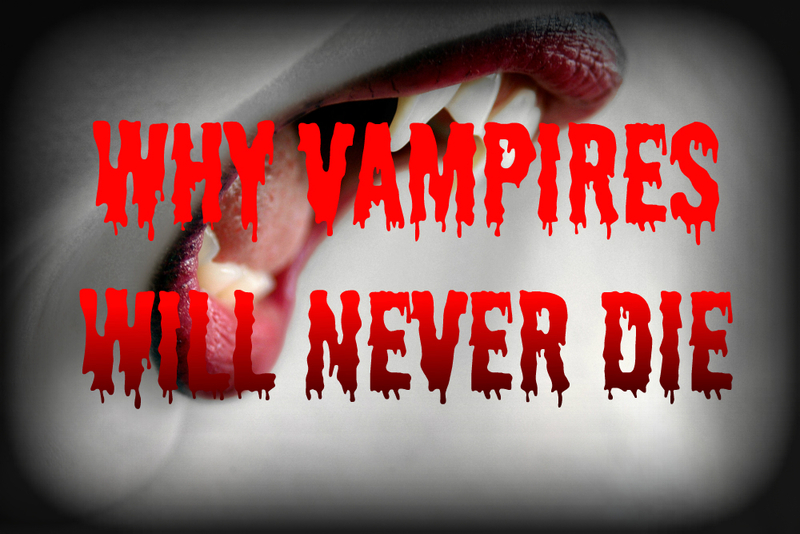 So why did vampires outlast their competitors? Well for starters, one has to look at the key ingredient to a good vampire tale. Vampires were once human. Unlike other monsters, humans can change into vampires. So, while we might fear them, we also fantasize about what it would be like to become one. Immortality, irresistible allure and supernatural powers- traditionally, these are the exchange for condemning one’s soul. Thus, while vampirism may be nightmarish, it also allows us romanticize about what we might do with our dark gifts if given the chance. Secondly, vampires in all of their petty immortality, also represent what’s wrong with contemporary society. Yes, it’s the social predator’s duty to adapt to the times in order hunt their prey, keeping up to date with fads, culture and current affairs. This makes it easy for storytellers to sculpt vampires into the perfect modern-day metaphors. They’ve gone from plague spreaders during periods of disease to unruly deviants during phases of social reform. They are in essence, the ultimate plot devices. Finally, and most importantly, vampires represent what we fear about ourselves. They are the monsters inside each of us. We use these creatures to work out our own angst, anxiety and desires. They’re tools in order for us to make sense of who we are. In essence, vampires are a form of introspection. So there you have it. Our link to vampires is far greater than we ever imagined. They rationalize otherwise uncontrollable events, allow us to fantasize about who we’d like to be, keep us aware of society’s flaws and help us express what we fear most about ourselves. Though their roles may have changed throughout time, their purpose is always essential. And that’s why vampires will never die. 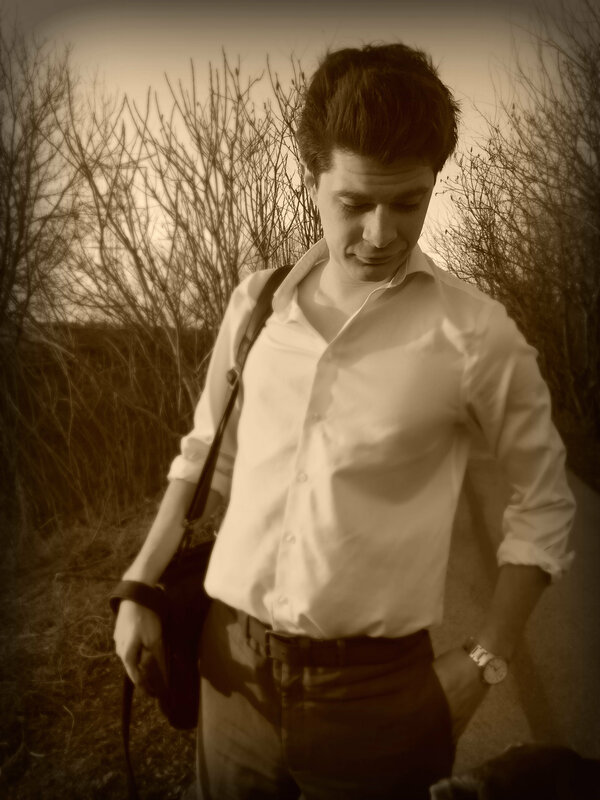 Justin Alcala, Author of “Consumed” and the upcoming “Plenty Dreadful Series”. Check out Part 1, “The Devil in the Wide City” when it hits shelves October 2015. GHOSTS OF THE PAST 4 Days Ago Have you ever opened up some of your long forgotten poems, short stories or novels? Painful right? The document is probably littered with vague pronoun references, unnecessary shifts in tense and fused sentences. Even worse, there are sections of the story that don’t contribute to the plot, insignificant characters and mawkishly sentimental underlying messages. If you’re like me, the first thing you do is plant your face in your hands (a.k.a. the “Face-palm”) and try not to cry. Afterwards, you stare at the Delete button, tempted to obliterate all proof that this story or poem was once yours. Finally, after waging a war with your conscience, you decide to live and let live, leaving the document alone, but lamenting about how terrible your writing once was. But wait, that’s not fair. Your old work shouldn’t be some dark secret that needs to be hidden from the world. It should be a testimony of what you’ve accomplished. Not only did the “old you” put a lot of effort into that story, but the work is a reminder of who you as a writer once inspired to be. It’s a roadmap of your writing life. Sometimes, we as writers are very hard on ourselves. We have to be because we’re constantly pursuing perfection. However, we forget that we didn’t just learn how to write overnight. There wasn’t some magical gift bestowed upon us by a divine being. No, we had to start somewhere and work at it, and those old documents are a symbol of that. For me, once the shock wears off of how bad my writing once was, I realize how beautiful these works really are. Because behind the jungle of grammatical errors and turbulent plot hooks is a vision I once had. I see Justin Alcala, the writer who wanted to give readers a little scare with his horror stories. I see Justin Alcala, the yarn spinner who wanted to give a fresh perspective on legends and folklore. I see Justin Alcala, the young man who wanted to make people happy by telling great stories. All too often, we authors get swept away by the power that comes with having your works published. I know I get a real kick out of talking to my publisher about cover art or sending new ideas to my editor. It’s fun to put your work onto bookshelves. But we can’t forget about the fundamentals. We need to remind ourselves why we started writing in the first place, and those old tales are just the thing. So the next time your dusting off an old manuscript, remember what those pages really mean. The words may tell a bad story, but the history of its creation is its own sort of autobiography.